The missing comma that makes the second sentence read very awkwardly, is of course deliberate satire. It’s 1952 and he’s making fun of silent movie title writers. One of the remarkable things about Wodehouse is that his failure, or refusal, to move with the times does not harm his work, or hardly at all. No doubt facilitated by the fact that he never returned to England after WWII, he went on writing a world that never advanced socially from the 1930s, and indeed has much of the early 1900s about it. But because his particular comic universe simply had to be insulated from the darker things in life anyway (other comics thrive on darkness: Wodehouse can only use the tiniest grain of it), this time-capsule effect isn’t a problem at all, except when some glancing reference to modern events creeps in. When Roderick Spode, Wodehouse’s devastating parody of fascist Oswald Mosely, returns in the very last Jeeves & Wooster book, there’s some mental confusion created in the reader about when this is all happening — it can’t be 1974, when the book was published, but when is it? Spode has given up on fascism some time back, it seems, but WWII is not mentioned — it simply couldn’t be (WWII was a painful subject for poor Plum). 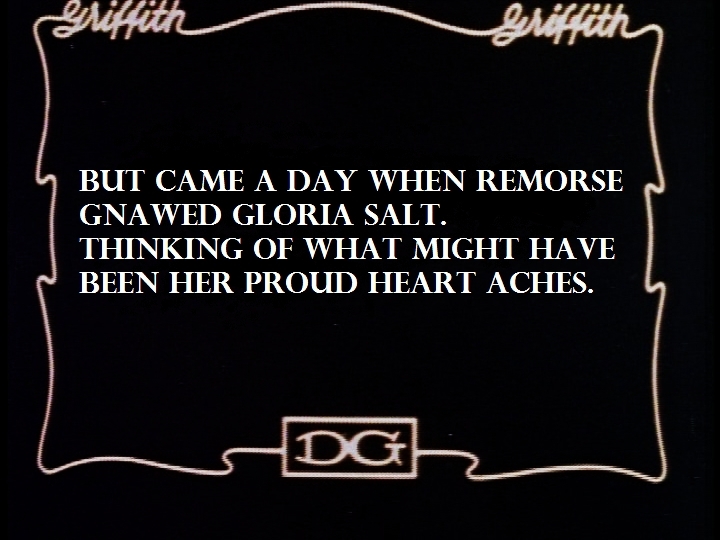 Wodehouse engaged with the cinema quite a bit, or tried to, but apart from the excellent A DAMSEL IN DISTRESS, co-scripted by him from one of his own books, little of his work has really succeeded on the screen. This is odd, since filmmakers have been trying since 1915. Wodehouse had success on the stage; his dialogue is exquisite, if protracted (Hollywood tried to get him to cut it down, which rather ruins the effect, since circumlocution and repetition are such major tools in his comic armoury); his plots are ingenious; and he had a handy sideline as lyricist, though the movies didn’t exploit that much either, apart from the sublime song Bill appearing in all three versions of SHOWBOAT. 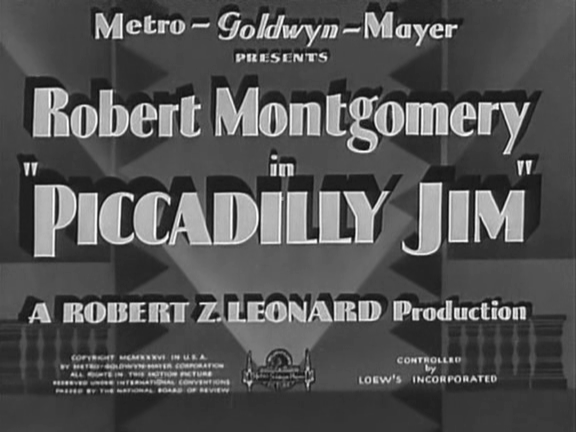 Piccadilly Jim, Wodehouse’s first big bestseller, was first adapted in 1919, and again in 2005. I had a look at the 1936 version. It keeps the characters and throws out the whole story. Well, arguably the story is a bit too convoluted, and has some tricky backstory coming in from a previous novel. Charles Brackett had a hand in the new plot, and dialogue is courtesy of Samuel Hoffenstein (of the very mildly Wodehouseian country house comedy CLUNY BROWN) and Lynn Starling (ditto HE MARRIED HIS WIFE). 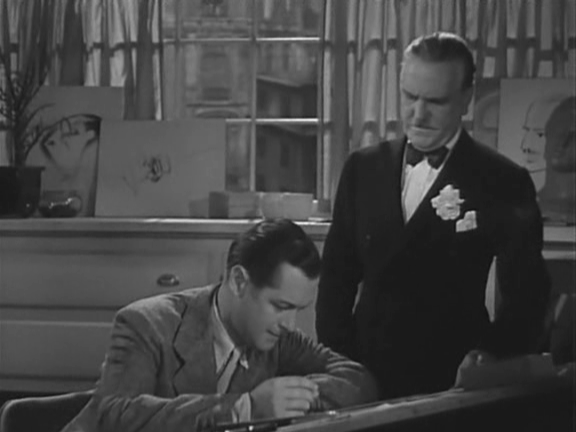 Robert Montgomery and Frank Morgan are well cast. So why does it seem so strained and unfunny? Precisely the quality that a Wodehouse piece has got to not have. I think it’s because they’re trying to write funny dialogue for the characters. Witty dialogue. This is a fairly major misunderstanding of Wodehouse, whose characters are rarely witty on purpose. Like the best comic characters, they’re funny in spite of themselves, just by being so openly and helplessly themselves. When the Jim of the novel asks for a job, he doesn’t get laughs intentionally, but by stressing how he really doesn’t mind what he does as long as it isn’t work. Work would be a waste of his talents. But he’s sunnily certain he’ll be a great success in any position which doesn’t require him to exert himself. Glancing through Between Flops, James Curtis’s biography of Preston Sturges, I was pleased to find Sturges, in a letter, expressing supreme admiration for Wodehouse. And it occurred to me that THE PALM BEACH STORY is a Wodehouse type of story, filtered through the brasher Sturges sensibility. It’s a comedy about the deserving poor trying to get into the pockets of the frivolous rich, by various impostures and lies. Then I read Wodehouse’s Uncle Dynamite (Uncle Fred may be mu favourite Wodehouse character: too bad he’s in so few stories), and it seemed to me that the influence worked both ways. The novel, written in 1948, opens with a young man on a train being embarrassed by an impromptu welcoming committee waiting for him at the platform — a situation Sturges introduced in HAIL THE CONQUERING HERO. And the young man is just back from a trip up the Amazon, like Henry Fonda in THE LADY EVE. Did Wodehouse borrow lightly from Sturges on this occasion? It would be nice to think so, and certainly Sturges would have been flattered.